I was lucky enough to be selected by Nicole of Sew Conscious to review one of the very first Sew Conscious boxes. I learned about Sew Conscious on Instagram and thought “Wow, what a great idea!” I saw the call for bloggers and I quickly signed up to be a tester. Sew Conscious is a monthly sewing subscription service for the at-home sewing enthusiast! 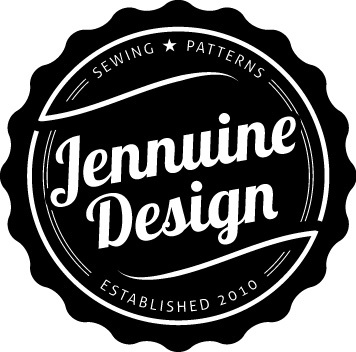 We combine independent pattern companies with the big names, along with all of the needed utensils to complete your Do-It-Yourself Garments! Basically Sew Conscious is a monthly subscription service for sewing (much like Blue Apron for food, Birchbox for beauty or Just Fab for shoes). Every month you’ll receive everything you will need to complete an apparel sewing project delivered right to your door. I did a live unboxing on periscope Saturday that you can view here or scroll down to take a look at my box. The first thing I see is this flier with an itemized list of what is included in my box with the prices for each so I can see my savings. My box is worth $115 based on suggested retail prices! A thank you card was bundled with my pattern and fabric, a nice touch! Thanks Nicole! Sewaholic Pacific Leggings Pattern #1506 is the pattern I received and I like it, though I’m sure I would’ve never purchased it. Why? I usually stick to the “Big 4” pattern companies mostly out of laziness. I am excited to try my first indie pattern. If you follow me you know I just completed my first pair of workout leggings last month for my Fabric Mart partnered post (here and here). I can’t wait to make another pair, so this pattern is right on time! Also in the bundle was two yards of this blue and green watercolor zig-zag rayon lycra blend fabric. I love the colors (can you see it matches my nail color?). This fabric has a two way stretch as required by the pattern. Each box is to designed to include all you need to complete your sewing project. My box came complete with 1-1/4 yds of elastic, a 7″ YKK jeans zipper (option for 1 view), 1 Gutterman 110yd spool of coordinating thread, a package of size 75/11 stretch needles and 1/4 yd of Pellon Featherweight interfacing (not shown). As extra bonuses I received the November Threads magazine and the Fitting the Upper Torso by Kenneth King DVD (valued at $50!). Both were a great surprise though I do find it a bit odd that I received a bodice fitting DVD with a leggings pattern. However I love sewing tutorials so I will definitely put it to use on other projects. Well that’s my box. Below is some additional information I covered in my periscope. A fabulous box for all you sewing needs. We pick the best patterns, fabrics and tools. You pick your style, size, and voila! Perfect projects that improve your wardrobe. Select a style profile (The Spirited One, The Minimalist and The Classic Chic) and size (XS-XL or XXL-6X). Every month, members get all the custom tools they need to create elegant apparel fit to their size and style! Get top quality fabrics and patterns delivered to your door so you can spend more time doing what you love. What are the style profiles? The Spirited One-Trendy pieces with a mixture of colors and prints. The Minimalist – Simple, Staple Pieces from season to season. The Classic Chic –Professional Wardrobe with Classic Style and Tailored Looks. *yes you can change your style type anytime. Any sewist who needs a little motivation to complete a project a month. An indecisive sewist who spends more time dreaming up projects that sewing them. A sewist who doesn’t have access to a local sewing shop. There is a beginner box for those maybe just learning to sew. This box includes some basics, such as a seam ripper, hem gauge, zippers, thread, elastic, tape measure, bobbins, chalk, needles and more. Monthly $64.99 + FREE SHIPPING! 6 Month prepay $324.99 = 1 free box! 12 Month prepay $649.99 = 2 free boxes!! What’s the conscious part of sew conscious? Sew Conscious donates a portion of all proceeds to organizations against the use of sweatshops. Our goal is to promote the healthy hobby of at-home sewing, while contributing to the end of sweatshop factories. I love the idea of a monthly sewing project subscription. I liked the pattern and fabric even though I likely never would have purchased either. What a great way to discover new pattern makers, explore different fabrics and ensure that I sew one project per month! Sew Conscious is a great idea for sewers to hit a goal I know quite a few of us have to complete 1 (or more) project(s) a month. I think knowing that your next box will arrive in 30 days will give some an incentive to stay on task. I also think this is a great idea for sewists that can’t make it to buy patterns and materials. This box also makes a great gift for those friends or family members in your life who always say they want to learn to sew. The last group of people I recommend the subscription to are those who love a surprise! An obvious question asked during the periscope was “Do I think it’s a good deal?”. Being the Frougie (frugal yet bougie) Fashionista I have conflicting thoughts. On one hand I could certainly buy the contents of the box for less. However this is because I discount shop by waiting for sales and coupons for fabric and Big 4 patterns. I also have access to some local stores that have great prices on fabric and notions. The benefit Sew Conscious is they do the shopping for you, you are paying for the convenience of having everything delivered right to you! How many times have you decided to start on a project just to realize you don’t have enough interfacing or the right color thread or the right size needle? I know I have. Also I just love the idea of giving myself a surprise gift every month. I say if this has peaked your interest, Try it! On the monthly plan you can always cancel at any time and if you are truly disappointed you can return your first box within 10 days for a refund. I like this idea. Maybe the DVD will be useful for the next month’s purchase? You never know. I have never used Indie patterns either or pdf patterns for that matter. I love the idea as well, but I’m kind of picky about what fabric and patterns I buy. I usually try to buy only when it’s a sale…. I hope it works out for her. It’s a great idea for beginners. Oh and I’ve never used Gutterman thread either. I’m going to get better. I do love Gutterman thread. I agree that it might not be the best idea for people who are particular about their sewing projects. Thanks for the review Tiffany. I love the fabric and can’t wait to see your leggins! Thank you. Hopefully I’ll get around to then soon. Cool idea! I love the idea of having someone else style me but man that seems pricey. $65 is what I am willing to pay to buy a locally designed and made piece. If I’m sewing for me, I want to be saving money! Me too after all I’m frougie! Great review! I think the concept is cool but agree with you on being up in the air about the price tag. I do like that they give you the exact fabric you need for that particular pattern (I struggle with that sometimes). Thank you for taking the time time to review and share your thoughts! We’re on the same page about the price and convenience. From what I can tell this DVD was in all the boxes. A very cool idea! I love that Sewaholic pattern btw!